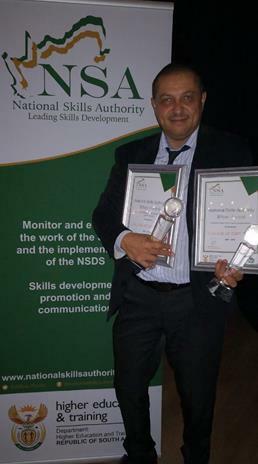 The College of Cape Town received a Silver Award in recognition of Best Practice in Skills Development and a Silver Award for the Most Outstanding Skills Development Stakeholder. The awards were based on the submission of NQF learnership delivery in Early Childhood Development. The College Executive congratulates the Education & Training Department for its sterling work as recognised by the ETDP Seta and the NSA. It confirms our position as a leading TVET provider and validates the bold decision to invest in the development of the new Education & Training building at the Crawford Campus. We are well positioned in the ECD Sector particularly in the light of our President’s statement about the development of the ECD Sector in his first SONA speech.